To provide the typical desktop experience, it’s also accompanied by Nautilus and Metacity along with a few other libraries (hence forth, gnome-panel’s friends). Gnome Panel and friends have recently been deprecated so that developers have more time to focus on Gnome Shell, the new default shell for Gnome that has a vastly simplified (and better) technology stack. Last November, Vincent Untz announced that he would stop maintaining Gnome Panel and friends beyond the 3.6 release, which means the death for it unless anyone else takes it up. I’ve been an avid user of the Gnome 2.x series and also Gnome Fallback in the 3.x series. I’ve gotten rather good at supporting it too. We include it by default in Edubuntu, and even have an option in the installer to make it the default for installations over Unity. It provides a low-footprint, fast and simple desktop experience with very reasonable usability, while being very configurable and lockdownable. (my spell check says that’s not a word, but I don’t care). I’ve been considering whether we should switch to having Xfce or LXDE as an alternative to Unity, but after discussing it with other Edubuntu contributors, it became clear that if I wanted to do that, I’d have to be willing to maintain it for Edubuntu by myself. In Edubuntu we’ve been pretty good at having at least 2 people being interested in any side-project we pick up and I like to keep it that way if we can. It means that if someone gets a bit busy, there’s someone who can pick up the slack for a little while. Also, Xfce and LXDE had big holes in usability, especially when it came to things like having multiple displays and running on laptops. I decided to put that project on the backburner a little since Ubuntu 13.04 will still be using Gnome 3.6, which meant that we’d have the Fallback session for one more release anyway. Ikey Doherty forked off Gnome Panel to create a new environment called Consort. Metacity is forked to become Consortium. The website where the Consort desktop environment used to live seems gone now, but here’s a link to some screenshots from Google+. This caused a bit of a stir, Vincent Untz posted a good chronology of what lead up to it and why he believes that a fork is a bad idea when the Gnome project has effectively put the upstream code up for adoption. I’ve been interested in the Consort family since it could potentially be something that we could use in Edubuntu once the upstream gnome-panel is no longer in the archives. Also, while Gnome Shell, KDE Plasma Desktop and Unity are great and have come incredibly far in terms of stability and performance, it’s just not always for me. I want to be able to use it for myself in virtual machines, older machines and some other special cases (most notably, on LTSP). Josselin Mouette, maintainer of Gnome in Debian, approached Ikey after some requests have been made for it in Debian. If you’ve read the post and the IRC logs linked, then you’ll probably agree that it could’ve gone a lot better. 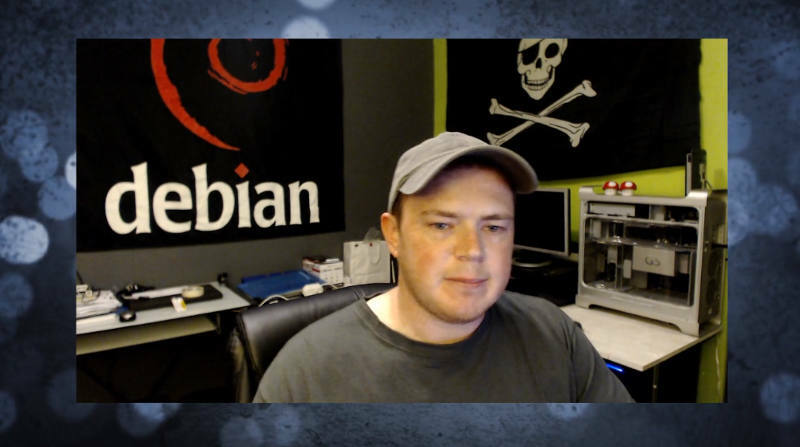 I’m not on the SolusOS IRC channel so only saw the conversation after the fact, but I was disappointing since it would need to go into Debian if I’d want to support it in Edubuntu. I think both Josselin and Ikey could’ve handled it better, but humans are just that and emotions and misunderstandings happen. I was chewing a bit on Josselin’s comment on how the former maintainer “maintainer decided to give the key to anyone who wanted to” and it’s been several weeks since Vincent invited people to take over maintainership. I decided that I’d at least be willing to do the absolute minimum just to keep the project releasable every six months so that it can be included in distributions, maintain its online presence pages, bug tracker status and keep up with component changes in the stack. So I e-mailed Vincent and explained what I’m willing to do. I had very little resistance, Vincent sent an email out to other people who are steakholders in the gnome-panel project and after a week, there were no objections. So here I am, brand new maintainer of the Gnome Fallback session and its components! This means that the project is, at least for now, alive again. It’s not going to be part of the official Gnome 3.8 release (I still have to figure out exactly what that means), but there will be a 3.8 release of Gnome Panel and friends as tarballs and for people who maintain it in distributions, things will continue to work exactly as it did before. My complete primary goal for this at the moment is to ensure that gnome-panel, metacity, etc is releasable alongside the Gnome 3.8 release. This basically means making sure it builds, including any patches that we can and releasing. Do something about the long buglist. The Gnome bug tracker has an ugly long list of gnome-panel bugs (939 at my last count). I want to eliminate all the stale Gnome 2.x gnome-panel bugs of which a very large amount of them are no longer relevant (at least on first glance). Then I’d like to do some regular posts to the mailing list and blog about a few prominent bugs every now and again and try to fix them and get people involved. Porting Metacity to GTK3. So here’s a bit of really good news. Josselin is also involved with this and one of his mid-term goals is to port metacity to gtk3. It’s something that I know would have to happen, but I don’t have the skills to do that (yet) and I’m glad that he has took this up. Josselin’s mid-term goals also include possibly adding support for the new notification system (if necessary) and adding support for the new Gnome global menu. Create a nice project page with goals and to-do list, who’s envolved and what they’re doing and encourage more people to get involved. The current page is rather outdated so it would be nice to fix it. For now that mostly involved bringing the Gnome Panel Gnome Wiki page up to date. My pet peeve… intelligent launcher icons. Windows 7, Mac OS X, KDE, Unity and Gnome Shell have docks that work very similarly in many ways. You click on a launcher and those same launcher entries are recycled as your window list. Gnome Panel is a bit old fashioned in this regard. Many people use 3rd party panels and launchers just to get around this. I have thought for a long time that this should be fixed in Gnome Panel and long-term, it’s something that I’d like to see happen. Make the stack as downstream-friendly as possible. Regarding Ikey and Consort, I don’t actually think it was a completely horrible idea at the time. We live in a free world where we use free software and anyone is allowed to do whatever they want and fork whenever they want, and while that doesn’t necessarilly mean it’s a good idea, it also doesn’t mean that we need to get all hissy about it. I’d actually be very interested in working with people who want to fork and find out why they want to fork and try to reel them in closer to upstream. In the case of Consort, I think it would be most beneficial for both projects and all their users if Consort was a branch of Gnome Fallback, rather than a fork. Both projects use Git, FFS. I’ll reach out and try to minimize duplication of effort while not blocking anyone on experimenting with new features or implementing distro-specific changes. More metacity features. Metacity’s compositing features have come quite a long way, there are still a few bugs that need to be sorted out, but more than that, there are many window manager features that users have become accustomed to in pretty much all the other environments. Ikey has indicated previously that he wants to do this for consortium. It’s one of the reaons I’ll be super-nice to him because I’d really prefer that he submit as much of that upstream as possible. Make everything worth configurable and lockdownable. There are some settings that I get requests from from the users I support so often that it’s just getting boring. The Gnome 2.x series proved to work well in educational and corporate environments. I say we should play on that strength and make it even more so, while sticking 100% with the Gnome Human Interface Guidelines, of course. Well, the fact is, Gnome Fallback will die. There’s a new project called Gnome Legacy, it implements a Gnome 2.x-like experience in Gnome 3. As time goes by, older machines become more powerful and the missing pieces will be implemented and eventually there would be no more good reason for anyone to want to run what we now know as Gnome Fallback. I think it could still have a good 3-5 years or maybe even more in it. Who knows, by then Gnome 4 might even be in development and all of this will be ancient history. So, my very quick “Eek, I’m now maintainer of Gnome Panel!” post has become quite lengthy post, if you have any questions, I’ll respond to it in the comments. I’ts really good to know that you are willing to implement the SolusOS patches upstream. I think that Consort is a great effort and represents the ideas of freedom that we strive to maintain, but I also agree that duplication of effort should be eliminated as much as possible. I hope this is successful. I have one machine on gentoo stable (still has gnome2) and one on F18 with MATE. I have no strong attachment to any of the particular methods of keeping GNOME2 style desktop going, but eventually it will have to be something that uses GTK3. Have you had a look at the work done in the MATE project. They have made some progress towards removing deprecated libraries, which might be useful for you. I do most of my linuxy stuff in VMs due to the nature of my work and I can tell you that even though I do enjoy Unity and Gnome 3, I really just want a solid 2D Gnome interface. Thank you very much for offering to do this. I’ve found Metacity with no effects to run just as light as xfwm, and almost as light as Openbox. This is also much easier to integrate into a home PC environment where one user may want Unity while another user may want a “classic” DE. I can’t help at all with development but you can count on me to help with testing. @nemoinis is that a static setup or do you regularly plug and unplug monitors. Does xfce remember how you previously arranged that monitor? if your combined monitors are non-rectangular does it constrain the mouse to stay in the visible area? I think last time i tried xfce would hotplug the monitor, but assumed that i always wanted it to the right, so everyday i configure it to be above. Congratulations! I’m very happy to hear gnome-panel will be maintained. I wish you all the best. > My pet peeveâ€¦ intelligent launcher icons. Maybe a good starting point ? Anyway, thank you for your work on Gnome Classic, and good luck. I tried sending you a mail. I would like to help, but I didnt get any reply. Please let me know what I can do to support Gnome panel? Btw i had a look at the talika code. Its quite a lot of code because it seems the developers copy/pasted a lot of code from libwnck and metacity into their codebase. That makes it quite complicated to maintain it or even port it to gtk+3, it is probably way easier to port some of the features over to my window-picker-applet. Hey Lanoxx. I’ve been moving country the last week so haven’t been too great on keeping up with emails. Will reply to your email today. Thanks for your interest in this! I’m stumped here. Can you explain specifically what you mean? @booker: Regarding multiple displays, the UI doesn’t allow me to choose which display is next to which, or it’s height. That makes it almost completely useless useless. Also, if I remove my laptop from its dock or unplug a display (or replug it), it doesn’t automatically adjust, I have to manually re-set it. This was written at the time when Xfce 4.8 was released, not sure how much this has improved in 4.10, but I will when packages are available for it in Debian. THANKS!! I love gnome-fallback, and for a lot of educational purposes, it is absolutely crucial to keep going. I work on a project where Edubuntu is being deployed at secondary schools, and to maintain relevance, it is important to have a DE that gives the user an impression of what basic, classic window management is. This should practice the skills that are relevant for most office work, and Unity and standard Gnome3 can always be practised on top of that for the sake of making the students more adaptive. With Trusty vUDS approaching next week I must ask; will Edubuntu continue supporting “gnome-panel + metacity” for LTSP installs in Trusty? What is the status of this as relates to Trusty? Our elementary school computer lab has been running smoothly on XRDP with gnome-session-fallback (Precise) for about a year. With the end of support for Precise, we need to find a way to move to Trusty and maintain our precious XRDP accessibility. Is there any way to get this working? Thanks in advance for any help you can provide.